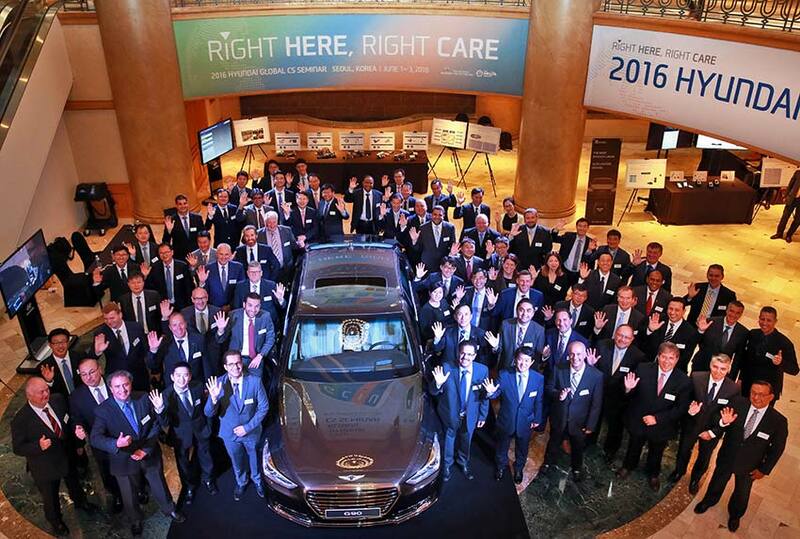 Hyundai Motor has reaffirmed its commitment to enhancing customer satisfaction by holding its ‘2016 Global Customer Satisfaction Seminar’ earlier this week at the Ritz-Carlton Hotel in Seoul, Korea, with 60 service representatives from 42 countries in attendance. Satisfying our customers through service is vitally important in the fast-changing environment of the global automotive markets. We are committed to providing differentiated services through various programs that will sustain our growth and attain the highest levels of customer satisfaction. We will continue to deliver both qualitative and quantitative initiatives through digital services, enhanced facilities at customer touch points, Digital Before Service and home-to-home services that provide support beyond our customers’ expectations.